So many questions come up about good ‘ol bread. And not surprisingly because it's a staple food that we've all grown up on. Toast for breakfast, sandwiches for lunch, a side of bread for dinner, it's a pretty common practice right? But if you're diabetic, should bread get the cut? Is it okay to eat? Are there certain types of breads that are better than others? 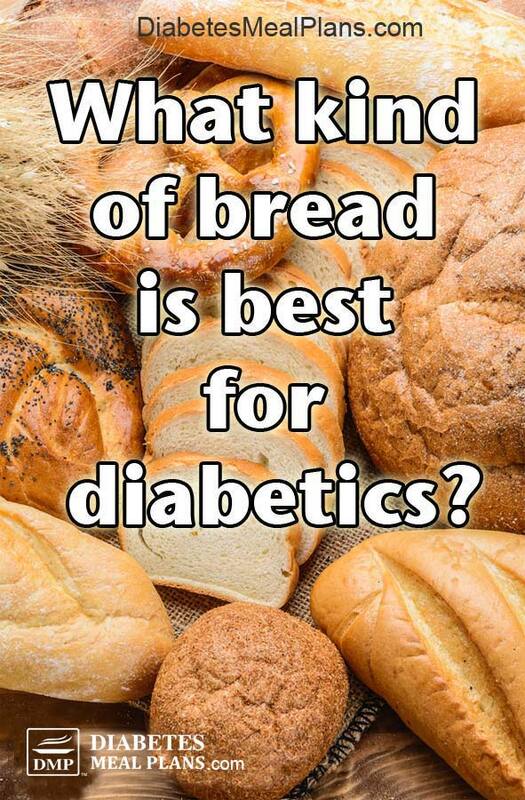 What Kind Of Bread Is Best For A Diabetic? 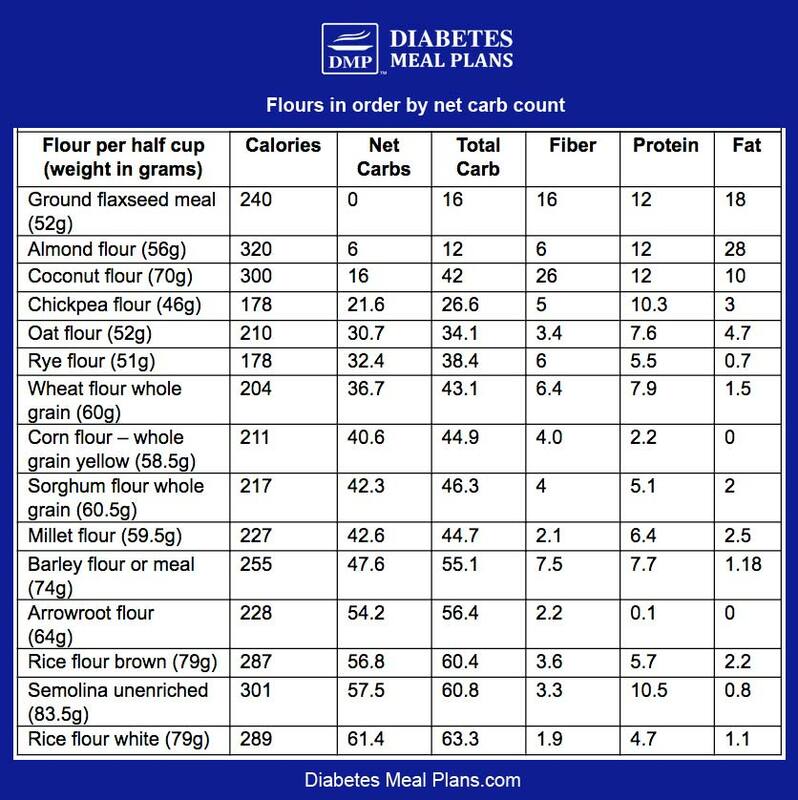 We've recently covered the types of flours that are best for diabetes, so before we dig in and talk about breads, let's briefly look at the flour cheat sheet. See how everything above coconut flour goes up from 30 g net carbs and above, which is really getting up there. In reality, the best breads for you to eat are ones made from flaxseed, almond, chickpea or coconut flour, which are a bit more difficult to come by. Of course, the simplest way to overcome this is to make your own. But, we understand that not everyone wants to make their own bread. So thankfully, there are quite a number of companies that supply great low carb bread options you can buy. It's often recommended that you eat whole grains instead of the white stuff and it's true, whole grains are a better choice because they are complex carbs, rather than simple carbs. But, when you take the whole grain and grind it into a flour, it changes the way your body digests it. This mainly happens because the bulky fiber component of the grain gets broken down, meaning less digestion – for you as a diabetic that means higher blood sugar spikes. Have you heard of the glycemic index before? High GI foods rapidly effect blood sugar, while low GI foods have a slow digestion and absorption and produce a more gradual rise in blood sugar. Below 55 is considered low GI. So the lower a food is the better, and the higher it is the faster it affects blood sugar and the worse it is for you as a diabetic. So now we can look at the GI of both a whole wheat kernel and whole wheat flour as an example. Whole wheat kernels are 30 (low GI) and whole wheat flour is 71 (high GI). What this really means is that whole wheat bread really isn't that great. Your best bet when it comes to rye bread is pumpernickel bread – it's made from whole rye grains and is a low GI of 41-46. But, pumpernickel bread isn't exactly a sandwich type bread, and has it's own pungent flavor, too. So these are all high GI and aren't good options. Sourdough bread is made by traditional methods, where the starter dough is fermented to provide the rise in the bread instead of yeast and sugar. Surprisingly, this bread making method is much better for us. Making sourdough produces beneficial gut bacteria that help with digestion, and this has a strong impact on how it then influences the blood sugar response. So having a slice of sourdough is going to be a better choice than most other breads. But there is a bit more to the story. Does Cutting Bread Help Diabetes? The thing is, GI is important, but then you have to consider your overall carbohydrate intake as well. As you can see an average piece of bread is going to be anywhere from 11.9 to 20 g carbs. One slice of bread is considered one serve, or one carb count and is around 15 g carbs on average. While that's not too bad, if you can keep your carbohydrate intake lower overall each day, you'll be better off for it – meaning, yes, cutting ‘traditional' forms of bread can help diabetes – you will see lower blood sugar and A1c levels. This might not be the same opinion that you read elsewhere, or even the guidelines your dietitian might give you. Often they say 30 or 45 g carbs per meal is fine, some of them even recommend up to 70-80 g carbs per meal. But in our experience, (and what the research shows) many people with type 2 diabetes and prediabetes get the best results when they stick to eating that many carbs per day, not per meal. Eating 50-80 g carbs per day might sound drastic but it is totally possible. And you can still have bread – if it's the right kind. To answer the question – does cutting bread help diabetes? Well, if you're cutting the ‘traditional' types of bread, the types you'll find at the supermarket, then yes, the less you consume it, the lower your blood sugar and A1C will be. Baking breads at home is going to be your best option. And it's actually very easy to do – if you know how. For instance, we have a wholemeal bread where you put all the ingredients into a food processor, blend, pour into a loaf pan and bake. Easy prep, easy cook. And best of all, it's just 1 gram net carbs per slice! 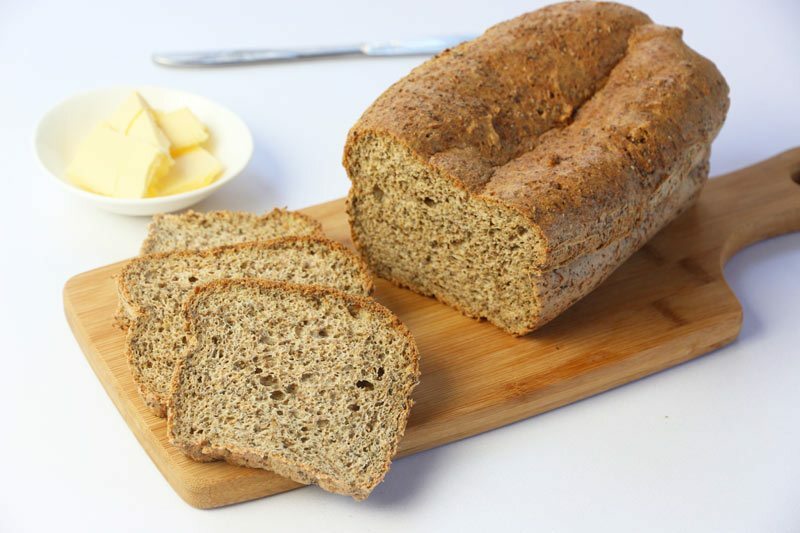 Low Carb Wholemeal Bread – Just 1 Gram Net Carbs! Since low carb breads use almond flour, flaxseed meal, coconut flour, and sesame flour, it can be an expensive trial and error because you can't use low carb flours in the same way as you do regular wheat or gluten free flours. That's why we created the Low Carb Breads Masterclass – it takes the guesswork out of making low carb breads at home and provides over 30 recipes and cooking classes to choose from. You can whiz up low carb breads you and the family enjoy, without wasting any ingredients! Another example is our 3 Minute Bun. 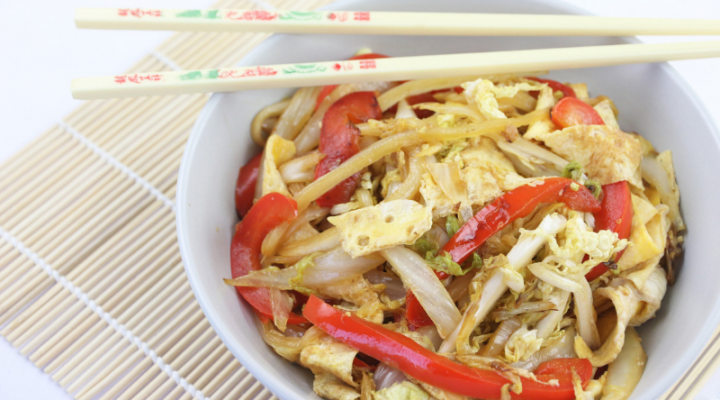 It is ZERO net carbs and can be loaded with any of your favorite fillings. Is bread better than cereal for a diabetic? This is another question that often gets asked and the answer is yes. If you had to choose, a slice of bread over most breakfast cereals would be a better choice any day because most cereals are way too high in sugar. Of course, not all breakfast cereals are made alike, but generally speaking, bread will contain less carbs, and far less sugar (and salt) than most common breakfast cereals. These can be harder to find, but since low carb is becoming more popular, if you look around there are more options available. For instance, in the US and Canada, Walmart sells ThinSlim Foods Love-the-Taste Low Carb Bread Plain, 2pack and Joseph's Bakery Mini Pita Bread, both of which are 7 grams carbs per slice/bread. In the UK, Tescon sells Hovis Lower Carb Seeded Bread, which is around 9 grams carbs per slice – a little bit lower than regular bread. In Australia, Aldi sells an 85% lower carb bread, which is just 5 grams per slice. Here are some low carb bread options from our Amazon store, just to give you some examples. Great Low Carb Bread Co has loaves that have just 1 g net carbs per serve. These cost around $7.99 but adding shipping of $9.24 soon hikes the price right up. Low Carb Bread Co has a low carb rye loaf, low carb hot dog buns, low carb hamburger buns and even makes bagels, again you're looking at around $6-7 per pack. LC-Low carb Sandwich Loaf is $12.58 per 25 slice loaf. It's a spongy sandwich loaf, which is how most of us like bread. And it's just 1 g net carbs per slice. In reality it breaks down to around 50c per slice, which isn't too bad, but add shipping on top and it will hike up the price. The same goes for this low carb pita bread. It's a good price at just $3.99 for 6 pita breads, but then the shipping is $11, which seems a bit ridiculous. 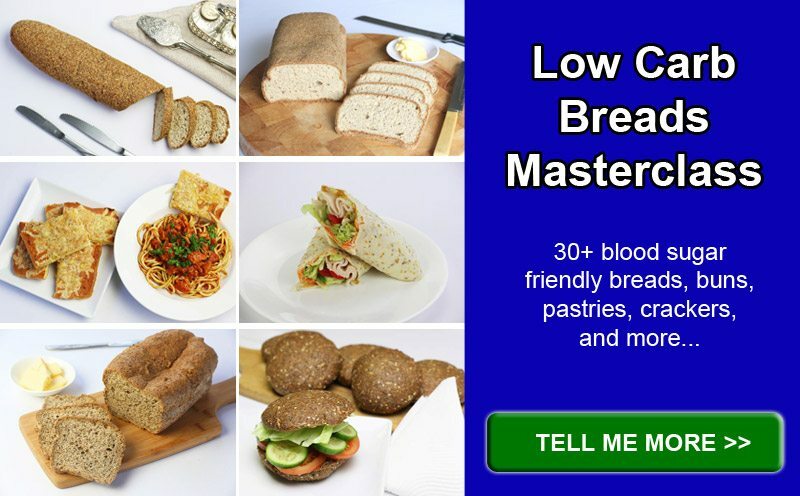 You could try using Bob's Red Mill Low Carb Bread Mix – that will cost you around $5-6 per pack. But once cooked it will end up costing more once you add eggs etc. 1 slice comes in at around 5 g carbs per slice. Netrition is another great online store to purchase low carb goods from. If you live in the US, they have a flat rate shipping cost of $5.99, which is much cheaper than Amazon. They also ship worldwide, just make sure to check the shipping guide. Another great thing is their prices for items are much cheaper too. 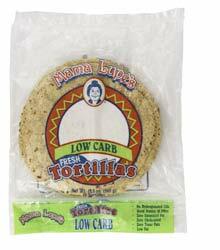 For example, remember the Mama Lupes Low Carb Tortillas from Amazon were $11.98? Well, you can get them from Netrition for just $3.89 per pack! The MiRico Low Carb Bread is $6.39 per loaf, with 3 g net carbs per serve, so if you buy a few loaves at a time it won't cost anymore in shipping so it makes the cost fairly reasonable. MiRico also have low carb bagels, and low carb tortillas too. When it comes to choosing bread basically you just have to shop around, but as you can see there are low carb breads you can buy to help solve the diabetic bread dilemma! You can also just live without bread. Again, cutting out breads may sound extreme but it is possible – we know of many people who do it. 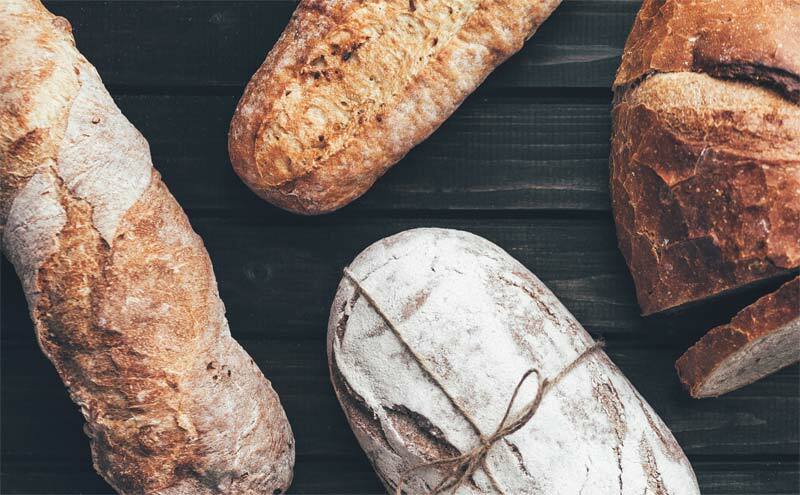 To emphasize the alternatives, making low carb breads at home will be your best option long term – so learn how to do it – take our Low Carb Breads Masterclass! I was recently diagnosed with pre-diabetes. My most recent test results are Hemoglobin 6.4%, Glucose 137 mg/dl. Urine Microalbumin is 359.6. Creatine (urine) 54.1, Microalbumin/Creatine 664.7. I am in the midst of information overload. Everyone, every website has varying opinions. I will ask just a few of my questions. 2)How often should one do the blood test on the finger? 3) Is agave a better sweetener choice? Monkfruit? Whole milk or low fat? You’ve come to the right place, Mary. We have lots of free resources that are all based on science! For started, check out this food list– these are the best foods for you to choose from. Probably the most important information for you to know is that carbohydrates are the nutrient that most impact your blood sugar levels, therefore choosing lower carb foods results in the best control. Breakfast cereal of any type is not encouraged. Even if you’re picking one of the “healthier” ones, it’s still very high in sugar/carbs. Consider trying some of these breakfast options described in this article. Regarding lunch, be careful with your bread choice. As a cheaper alternative maybe ditch the bread all together and just have salad with sliced turkey on top. Same with dinner, you will probably want to ditch the rice and just stick with protein and lots of vegetables. Snacks could definitely be switched for something lower in sugar; it may seem hard to quit “cold turkey,” but by consuming those sugary foods each day it makes your body crave them more and more. Give some of these snacks a try instead. Whole milk is acceptable- check out this article on dairy. We encourage you to check often- ideally 3-4 times per day. More may be warranted if your diabetes is poorly controlled. Checking your blood sugar often is the only way to know how your control is. By checking often you can see how your body responds to particular foods and adjust accordingly. Keep exploring our website. Our blog is loaded with information that will help make everything easier to understand overtime! Good luck! Hi there, I’m a type one diabetic and I’m learning I cannot eat any bread. Even if I give myself insulin for it, it’s just not worth it. Although, there is Ezekiel bread that I love. It does not raise my blood sugar significantly if I need a piece of toast. Hi Erica, we actually wrote an article all about Ezekiel bread that you may of interest. Based on research, we don’t encourage too much bread of any kinda; even Ezekiel bread contains a fair amount of carbohydrates per slice and sometimes causes elevated blood sugar. But, if it seems to be working well for you then that is a different story. Just remember that our website, and all of the research we conduct, is geared towards people with type 2 diabetes. Most of the information will be applicable to your situation, but just be aware there may be a few slight differences since you are living with a different type of diabetes. Maybe you can answer a couple of questions for me. I was recently diagnosed as diabetic with an A1C of 9.0. My glucose tests have always been around 95. I never got the pre-diabetes warning. How is this possible? Second question: After my diagnosis I became proactive and went on Trim Healthy Mama. I have dropped 19# in about a month mostly by cutting sugar and other simple carbs. I love bread but have been diligent about avoiding it. I read that sourdough is better for keeping blood sugar level but true sourdough doesn’t contain commercial yeast. Does the yeast negate the affect? I’ve been trying to make it at home without much success as the stuff in the stores contains yeast. Sourdough Bread is still a high carb food and not a food we would recommend for someone with diabetes. (You can read more about sourdough bread in the hyperlink.) Continue doing as you are and avoid/limit all commercial breads. If you are interested in making your own breads, you may consider joining our Masterclass Series for endless low carb bread recipes. Your A1c of 9.0 may mean that you have long periods of high blood sugar that you are unaware of- such as overnight or after meals. You may want to purchase a glucometer to better track your levels throughout the day, especially after meals and before bed. Ask your doctor when they would like to repeat your A1c test; routinely it’s checked every three months, but you may be able to have it rechecked sooner to verify how your weight loss and diet changes are working. Any comments or advice regarding teff flour and using this to bake bread? Like most other flours, we don’t encourage people to eat teff floour as it’s too high in carbohydrates, around 50 grams of carbs per cub and little fiber, around 7 grams per cups. I have been a diabetic since 2002. I found out in 2006 that I was actually a type 1 diabetic. My blood sugar are all over the place. I’m on an insulin pump. 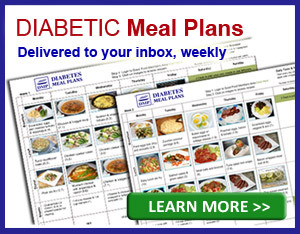 Do you have any kind of recommendations for a brittle type 1 diabetic? Elizabeth, our information is geared for people with type 2 diabetes. While some of the information may be applicable to your situation it is important you make very small changes and work closely with your physician to preven extreme hypoglycemia. Best of Luck! I really enjoyed for reading questions and your answers. How to get down your ac1. What to eat and avoid in order to low my Ac1? Based on research, we encourage a low carb diet for those looking to lower their A1c. This means avoiding (or at least significantly limiting) high carb foods such as bread, pasta, rice, and oatmeal. Your best choices are non-starchy vegetables (plenty of those!! ), protein, and healthy fat. Check out this list for a clear explanation. 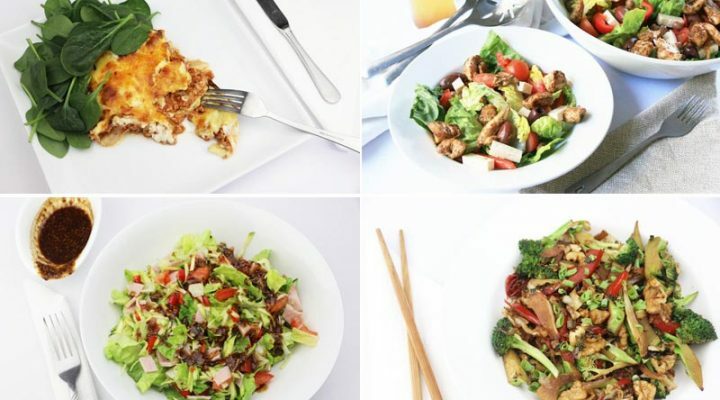 Here’s a good article about how to get started with a low carbohydrate diet. I found a recipe to make my own bread from unbleached flour. If I make it, will it be safe for me to make sandwiches as a “pre-diabetic?” I’m trying to find advice about baking ones own bread using “unbleached & unenriched” flour such as King Arthur Unbleached Whole Wheat Flour along with flax seed, Amaranth & yeast, along with olive oil, & a few other ingredients, mostly lots of different nuts. The recipe seems simple enough, but is it worth my time in order to avoid having carbs increase the sugar in my blood? Unbleached flour, even whole wheat flour, is still very high in carbohydrates and will send your blood sugar soaring. We encourage people to choose nut flours (almond or coconut) or flaxmeal when looking for a flour substitute. Consider joining our Ultimate Low Carb Breads Masterclass for recipes you can make at home that will be much lower in carbs compared to any of the flour options available in stores. Can you please recommend the best store bought bread for diabetics? That’s a tough question to answer, Hope. Most low(er) carb breads that I’ve seen in the grocery stores I visit are far inferior to some of these specialty ones listed in the article. My first two recommendations are to make your own at home (consider joining our Low Carb Bread Masterclass) or order online from one of the links listed above. If neither of those are an option and you feel that you must have bread in your diet, then you need to compare labels and find something that’s low in carbs with tons of fiber so that you end up with just a few grams of net carbs. This is not something I would encourage you to do frequently, as even just a few slices of bread per day can quickly add up and ruin your low carb diet and wreak havoc on your blood sugar. I’m new to the glucose game and I’m not liking it. I was starting a new job when my blood was 414. I’m a truck driver so home I went. I’m getting it under control mostly through med and near low,no carb starving. What I need is how to eat on a truck on the road with little to no options. I need to know specifically what I could eat/ drink on the road day in day out. I need help on this issue please. It just needs to be simple and specific. Thanks. It can be tougher on the road but you can take your own pre-made meals or you can purchase items on the road, for instance, burgers and salad without the buns etc. You might find some of this info helpful. Interesting and helpful. I was recently told that diabetes is reversible if you have bariatric surgery. My friend told me and I confirmed it with two different diabetic doctors. Of course, that’s a drastic decision. That’s true Teresa, bariatric surgery is a drastic option. Thankfully, there are 2 other scientifically proven methods that can reverse diabetes – very low calorie diets and low carb diets. Here at DMP we educate people about healthy low carb diets and our members are reversing their diabetes. Neither of those breads are a food we’d encourage. 15 grams per slice is the average for most breads, whether it’s labelled “diabetic” or not. And 15 grams is quite high, especially since they are low in fiber, just 2 grams per slice. You’d have to limit yourself to 1 slice and even then, many ingredients contained are not blood sugar friendly – wheat, oats, honey, raisins, etc. Generally, we encourage people to avoid most store-bought breads. In the end though, only your body will tell you. Use your monitor to test how it affects you. Hi jedha .on that receipes egg muffin isn’t the cholesterol level hight?? I am not diabetic but my mother is. Seven years ago I had high cholesterol. Instead of going on a pill, I decided I would try to diet. My levels are good now. I study the diabetic diet for my mother and I find I am now learning more about the effects of sugar and salt on the body. I have been eating pumpernickel bread. I figure the darker the better. Does this make sense? I worry about the study on eggs, I am a label reader and eggs are very high in cholesterol. I limit eggs to two a week. I do love eggs. If you haven’t already, read this on eggs and this on cholesterol. No, cholesterol in foods is not really a concern. Read this on eggs and this on cholesterol. Is there a butter or spread that is ok for diabetics? Butter is preferable to most margarines – more on dairy here. And spreads such as nut butters (peanut, almond, hazelnut) are great. Hi Jedha, What an awesome site! Thank you! My husband is in a hyperbaric chamber 5 days a week. His blood sugar lowers quite a bit while he’s in there. Can you recommend some foods he could eat before? He usually eats 2 slices of sprouted wheat berry bread (flourless) with either meat/cheese or peanut butter/jelly. He also eats a few apple slices. This helps keeps him from getting too low while in the chamber, but we would love to have you recommend something better, since all this “bread” talk scares me! Happy 4th of July! Hi Sue, sorry to hear about your husbands struggles. Your husbands case is pretty unique and one where dietary exceptions may need to be made. Elizabeth has some great tips on managing hypoglemia over here. I wonder if you might try a small portion of beans or lentils as a slow release carbohydrate source in this case? And of course, pairing any carbs with a protein and fat such as you’re already doing is great. Thanks for the info, Jedha! I will definitely consider adding some beans or lentils. Thank you for these statistics, very helpful. Can you give me a breakdown on Irish Wheaten bread please. I have eaten it in Ireland and now I can get it in the UK. Tastes great but is it high in carbs please. Hi Bob, the carb content per one slice is 14 grams. Generally we don’t recommend too many breads as they contain flours that are high in carbs and aren’t conducive to good blood sugar control. I am so glad I found your site and have found it to be very informative and helpful with the links provided to check out. My dad was diabetic taking insulin he never tested his sugar not sure why never asked. Also my mom is diabetic her blood sugar always stays above 140 usually it’s 160-240 sometimes higher she now goes to see a kidney doctor. She has swelling in feet and legs worse in the right she was told to go back to her kidney doctor within last few days. Maybe the endocrinologist would be better. I’m pre diabetic taking glyberide metformin for 3 years now. My blood sugar at testing runs 105 to 118. Don’t want to be on insulin so I’ve been researching better diet considering the Mediterranean diet which will be a huge change since I love all the things I shouldn’t eat. Now my husband is borderline. So what do you think of that diet? Interested to hear your thoughts. 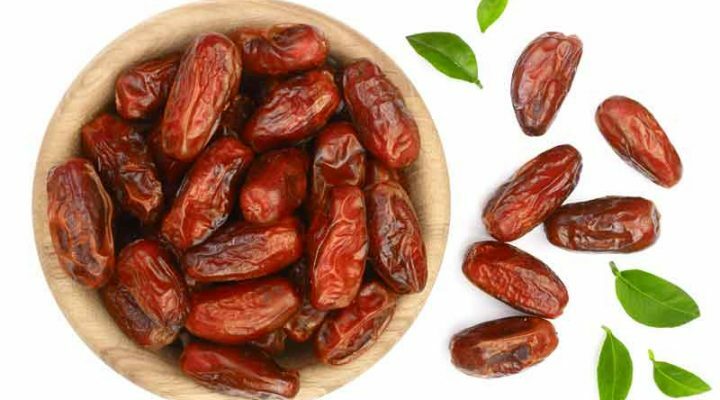 The Mediterranean diet is a relatively healthy diet Sharon but it still contains many high carb foods that are problematic for diabetics and prediabetics – bread, pasta, rice, potatoes. If you want to get better results you really need to cut down or cut out those foods – and of course processed foods filled with sugar etc. Check out this info on prediabetes, it might help. I’m a long haul truck driver and i have problems finding things That Will work for me in truck stops . I have give up on potatoes and ask For extra egg in the morning with toast and coffee black.guess i need to give up bread also . Waitress tells me if its not fried and covered in gravy truck drivers won’t eat it . I eat salad and vegetables when they are available but i think the cooks add sugar . I have a very small refrigerator in my truck good for drinks and sandwich stuff in case get stuck with no options like on a job site . I bring apples and bananas but can’t bring enough to last . Sometimes gone from home two months . Yes, it certainly can limit your options Henry. But there are some ways around it, to help support your goals. Packaged items that don’t need refrigerating include things like nuts, seeds, canned salmon/tuna and olives, which are all great for snacking. You can eat meat, eggs, salad or vegetables anytime without the bun and you can always find that at truck stops (yes, sometimes they only have carrots, pumpkin, lettuce and tomato, so you could eat more of those as a better option to bread). Ask them to cook you some hard boiled eggs to eat as snacks. And if you can get to a grocery store on the odd occasion, there are a variety of easy meals you could prep. Hi Rhonda, you can find some info on cereals over here. Thanks for very interesting topic. I am 72 and my husband is 80. We keep our blood sugar level low by eating less and by moderate walking. We have just two wholemeal indian chapaties and lots of veg and lentils.no sugar and rice. Our advice is stop worrying but eat less to lead a long happy life.